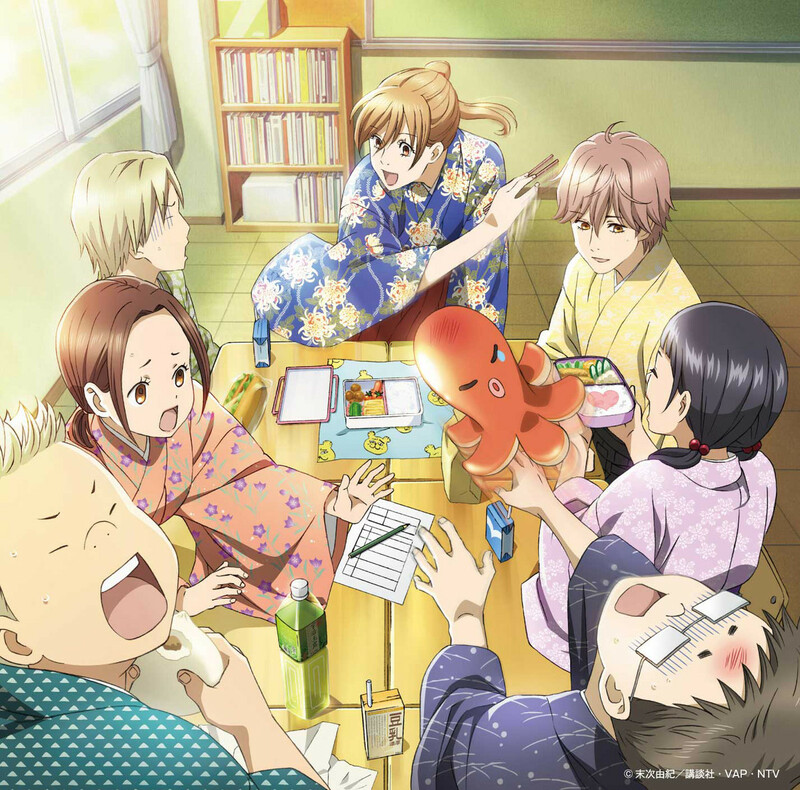 Review: Chihayafuru’s soundtrack, with the glowing energy and passion that it carries, is stunning in its magnificence and delivery, so much so that any attempts at following it up is a fool’s errand. The idea of maintaining thematic consistency while adding in new music is not an easy act to balance and with Chihayafuru 2’s soundtrack, Kousuke Yamashita tries and succeeds in making the album maximally appealing without being overly extraneous. By dipping into this musical broth, one will experience new flavors along with a taste of nostalgia, as the memories of the anime waft up, leaving one feeling charmed by the warmth it radiates even if it doesn’t reach the heights its predecessor did. That said, the first BGM track, “Chiisana Deai,” can fool you into thinking you’re in for an extraneous experience as its flute melody wanders in. Its mood is pleasant, maybe even aimless in its carefree execution as other instruments come in to ornament the melody (including a slight dash of the first season’s main theme). But the piece sheds its meanderings once it reaches the measures driven by the strings; here, the melody transforms, taking on more certitude as it blossoms into an air of quiet confidence and so, ushers in Chihayafuru 2’s main theme. Now, unless you’ve listened to this album through at least once, that theme is not going to be readily apparent from the get-go. Give it a listen though; it’s worth exploring because of how well it allows this album to stand on its own. When you compare this to the first season’s theme, you find that it’s less of an exultation; gone are the raw emotions the first season’s theme unveiled to evoke that group of flashy underdogs who succeed in striving for and wringing victory from the jaws of defeat! Here, we have more certainty and confidence and fewer surprises as everyone has their role within the team; the only direction is to reach their potential. Tracks like “Ippo Ippo” are suggestive of this new direction, as the melody, backed by the percussion, moves with purpose until it revels (relatively quietly) in the karuta team’s victories gained from skillful and self-assured play and less from blind luck. That’s not to say that the theme from the first season doesn’t make any appearances; the piece will forever be identified with Chihayafuru and the anime just wouldn’t be the same without it. There are a few scattered snippets where the main theme is arranged slightly as in the tension-filled, but bland “Yureru Kokoro” or the more intriguing “Shoubu no Yukue” which assigns portions of the main theme to a background function while the flute comes in with its distraught sound to amplify the gritty, competitive nature of the matches. “Namida no Kazudake” offers the best rendition as its slower tempo and stately delivery demonstrate an unobtrusiveness that allows one to reflect and reminisce on the strong bonds of friendship formed in the course of playing karuta. Finally, there’s “Shouri wo Tsukame,” which allows you to relive the gloriousness of the first season’s theme through its brash and exalting delivery. The rest of Chihayafuru 2’s soundtrack consists of the fare you’d expect from the competitive sports genre. Suspenseful tracks like the decent “Pressure to no Tatakai,” with its screaming crescendos leading to dissonant airs, mix with the deceptively traditional “Ishu Kakutougi! ?” – the latter’s deception comes in the way the traditional Japanese percussion and flute build the piece up before segueing into a funkier rhythm towards the end. There are also atmospheric tracks, which aren’t too enthralling. “Fuda no Michibiki” utilizes brief piano lines to evoke a foreboding aura while keeping development low. The same can be said for the early parts of “Harakikaketa Tsubomi” which blare out its disembodied tone and then plods along in a soporific fashion until the arrival of the sparkling, uplifting main theme make the piece much more bearable. Finally, one cannot leave out the amusing “Toritsu Mizusawa Koukou Kouka” which bears a militaristic demeanor fitting of a high school fight song that eclipses my high school’s by a long shot through its more regal aura and the earnestness with which the singers perform it. But when all’s said and done, the track that draws the highest plaudits is none other than Asami Seto’s “Akanezora,” which serves as Chihayafuru 2’s ending theme. Although her prior work on Chihayafuru is already solid, Asami Seto steps it up even more here, raising the argument that she deserves more singing duties. I especially love the way her voice glides atop the instrumentals as she conveys the longing feelings in the verses, building that up to an uplifting chorus. Throughout the song, her voice never strains, never wavers, allowing the emotions to bubble forth effortlessly to make this the best ending theme I’ve heard thus far in 2013. Kousuke Yamashita’s ability to dwarf his own efforts on Chihayafuru 2’s soundtrack was not going to happen, but the album is solid in its own right as a more confident main theme propels its way to the fore to give this particular disc its own sense of identity. If anything, the surprise is that Yamashita continues to excel, creating consistently enjoyable compositions which ensure that doubters will never look upon competitive karuta as anything mundane. First the episode ends. Then Akanezora ends. My heart is broken twice in 1:30.